Adds flicker to the Source clip using the flicker from a second Match clip. For example, a clip can be brightened in synchrony with a flashing light in another clip. To use this effect, first position the rectangle over an area of the Match clip which has brightness changes you want to copy. A middle or light gray area is best for this. Then select a frame where you want the Source brightness unchanged, and hit the Set Match Level button. When other frames are processed, the Source brightness will be scaled by the average Match brightness within the rectangle, relative to the Match Level. Source: The clip to add flicker to. 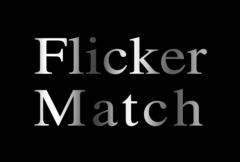 Match: The clip to copy flicker from. Rect Center: X & Y, Integer, Default: [0 0], Range: any, Shared . The center of the rectangle which is used to measure the flicker, in screen coordinates. This parameter can be adjusted using the Rect Widget. Rect Size: X & Y, Integer, Default: [1.67 1.23], Range: any, Shared . The size in pixels of the rectangle used to measure the flicker. This parameter can be adjusted using the Rect Widget. Set Match Level: Push-button . Match Level: Default: 0.5, Range: 0.01 or greater. The average Match brightness in the rectangle for which the Source input is unchanged. Measured Flicker: Default: 0, Range: 0 or greater. When processing, this parameter is automatically adjusted to record the amount of flicker at each frame. You can copy the keyframes to a parameter in other effect in order to match the flicker in a different clip, or adjust the brightness on certain frames. Changing this parameter manually has no effect. Center Shift: X & Y, Integer, Default: [0 0], Range: any, Shared . These values are added to the Rect Center, and are meant to help when using data from the Tracker. Negate Shift: Check-box, Default: off, Shared . If enabled, the Center Shift is subtracted from the Center instead of added.